Never one to rest on his laurels after winning two Trans Am championships for Chevrolet, Roger Penske and his engineer driver Mark Donohue accepted the challenge of turning the AMC Javelin into a Trans Am winner for the 1970 season, leaving Chevrolet to do a deal with Jim Hall and his Chaparral team in Texas to develop the second generation Camaro into a Trans Am challenger. During the 1970 season Jim employed Ed Leslie, Joe Leonard and Vic Elford to share the driving duties with himself after building and preparing three cars in the customary Chaparral Refrigerator White. Ford recaptured the 1970 Trans Am title thanks to 5 race wins accumulated by Parnelli Jones and on from George Follmer, AMC finished the championship second with three race wins from Mark Donohue and Chevrolet third with two wins one from the American Racing Associates entry driven by Milt Minter at Donnybrook and the other at Watkins Glen by Vic Elford at the wheel of today’s featured car. Vic only made four starts for Chaparral in the 1970 series alongside his Trans Am win at Watkins Glen he also won the Nurburgring 1000kms race with Kurt Ahrens in a works Porsche 908, Interserie (European Can Am) race at Hockenheim in the Paul Weston Racing Organisation McLaren M6B and the under 2 litre 500 km race at the Nurburging in the Escuderia Montjuich Team Chevron entered Chevron B16. Today’s featured car, seen in these photographs taken by Geoffrey Horton, is believed to be the only one of the three 1970 Chaparral Trans Am Camaros still remaining. 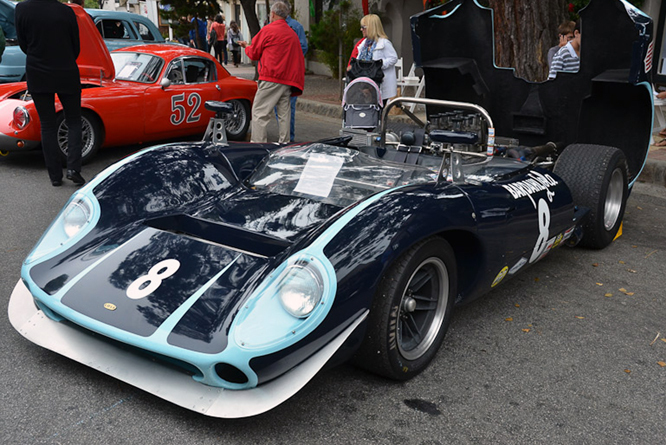 My thanks to Geoffrey Horton for sharing his photographs taken at Concours on the Avenue at Carmel by the Sea a few years ago. Thanks for joining me on this “Refrigerator White #1” edition of “Gettin’ a li’l psycho on tyres” I hope you will join me again tomorrow when I’ll be looking at a FIAT 128. Don’t forget to come back now ! This entry was posted in Uncategorized and tagged Avenue, by, Camaro, Carmel, Chaparral, Chevrolet, Colmar, Concours, Elford, Geoffrey, Hall, Horton, Leonard, Leslie, On, Psychoontyres, Ralph, sea, The on February 18, 2016 by Ralph. 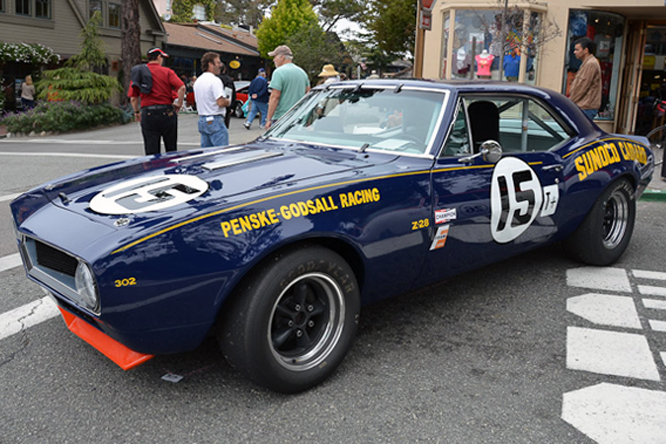 In 1968 Roger Penske’s Trans Am team turned up at the Sebring 12 hours with two Trans Am spec Z/28 Camaro’s one a lightweight car that had been very successful in 1967, and the other a new car that had not had a weight saving acid bath. Mark Donohue is reported as saying the Penske Team put the heavy #15 car through tech inspection first and then went back to their garage and swapped the #15 decals for #16 decals on the heavy car and put the car through tech inspection again. Having successfully pulled off this stunt for tech inspection Mark says the process was successfully repeated again during qualifying so that both the Penske driving crews qualified using the single lightweight car, which allegedly never went through tech inspection. I believe Mark and Canadian Craig Fisher then drove the lightweight #15 Penske Godsall Camaro to a third place finish from 13th on the grid 6 laps behind two works prototype Porsche 907’s while the heavy #16 Penske Hilton Camaro driven by Joe Welch and Bob Johnson with Craig also taking a stint behind the wheel finished 4th from 17th on the grid 10 laps down. Penske pulled off a remarkable feat and the SCCA deserved their comeuppance because as can be clearly seen from this linked period photo showing the Penske team cars bore different logo’s on the front wing panels Penske Hilton Racing for the #15 and Penske Godsall Racing for the #16 as seen in this photo. It should also be noted that the acid dipped lightweight car can be distinguished by the absence of side marker lights which were mandated for US road vehicles in 1968 as described in paragraph six of this linked article. Evidence that the race numbers were swapped between the subtly different cars during the meeting is confirmed by this linked photograph from the Revs Institute showing the #15 running with Penske Godsall sponsorship on the front wing and without the side marker lights, and in this second linked photo from Car and Driver clearly showing a #16 during a pit stop with the ’68 side marker lights. Today’s featured Camaro is believed by the owner to have been the 14th Z/28 to have been built, rolling off the assembly line on December 30th 1966 and into the Gorries Chevrolet-Olds, LTD dealership in Toronto where, the son of the GM-Euclid distributor for eastern Canada, Terry Godsall purchased it. The owner believes this car was raced for Terry Godsall by Craig Fisher and followed Craig to the Penske Team mid way through 1967, he also believes this is the lightweight car Craig and Mark Donohue drove to 3rd place overall and a well deserved class win at Sebring in 1968. After Sebring the car returned to Godsall in Canada is believed to have appeared in Trans Am events up until 1972, the current owner identified the car as the much raced lightweight Camaro by an obviously acid dipped wing / fender, an unusual rear axle housing which turned out to be one of only 22 and a one off brake master cylinder that had been shipped by GM to Penske for the Penske Godsall Racing Camaro. 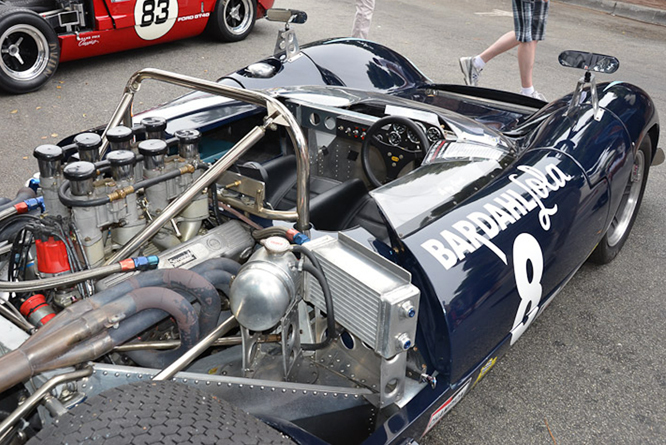 My thanks to Geoffrey Horton for sharing his photo’s taken at Carmel by the Sea Concours on the Avenue and the Rolex Monterey Motorsports Reunion a couple of years ago, note the engine shown is not in the same car as seen at Carmel by the Sea. Thanks for joining me on this “Changing The Numbers Around Again” edition of “Gettin’ a li’l psycho on tyres” I hope you will join me again tomorrow for FIAT Friday. Don’t forget to come back now ! PS I hope you will join me in wishing Geoffrey Best Wishes and a Happy Birthday today ! 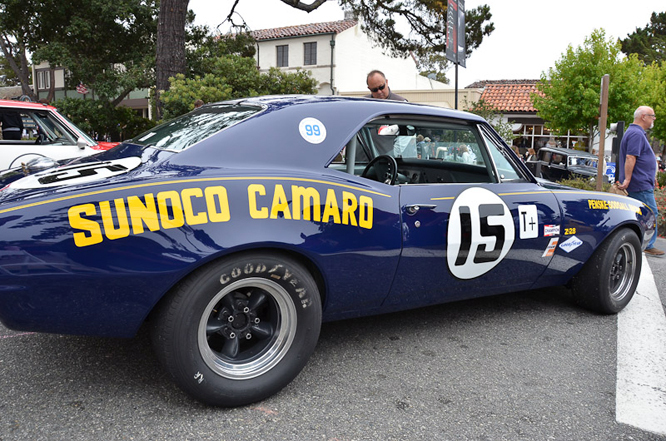 This entry was posted in Uncategorized and tagged Avenue, by, Camaro, Carmel, Chevrolet, Colmar, Concours, Donohue, Fisher, Geoffrey, Godsall, Gorries, Hilton, Horton, Johnson, Laguna, Monterey, Motorsports, On, Penske, Psychoontyres, Ralph, Réunion, Rolex, sea, Seca, The, Trans Am, Welsh, Z28 on February 11, 2016 by Ralph. Allegedly when Carroll Shelby first saw a Ford Mustang his original description was of a mere “secretary’s car”, but that did not stop him building a run of over 500 2 seat 350 G.T.350 variants to meet the Sports Car Club of America’s requirements and a special run of 34 G.T.350 R turnkey racers like today’s featured chassis #SFM5R098. 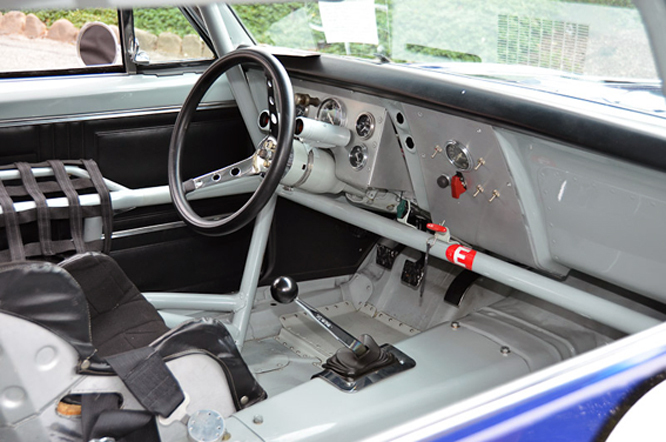 The 34 G.T.350 R cars were fitted with blue printed motors that produced up to 360hp, weight saving plexiglass side and rear window’s and Goodyear Blue Dot tyres mounted on American Racing 15″ x 7″ wheels. Today’s featured G.T. 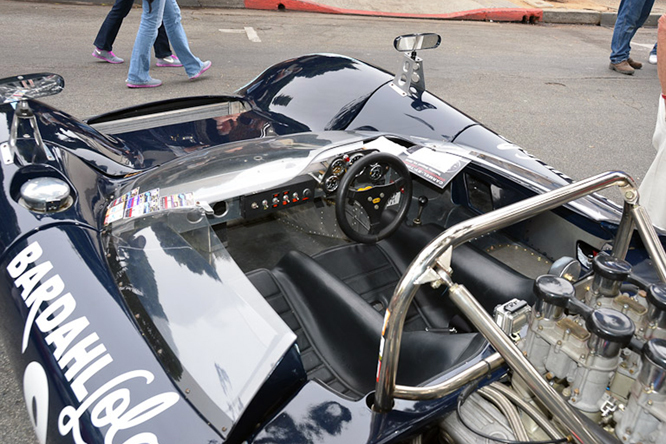 350 R, photographed by Geoffrey Horton at Concours On The Avenue, Carmel by the Sea, a couple of years ago is the 7th to have been built and the fifth to have been delivered to a paying customer in the form of Ned Owen. 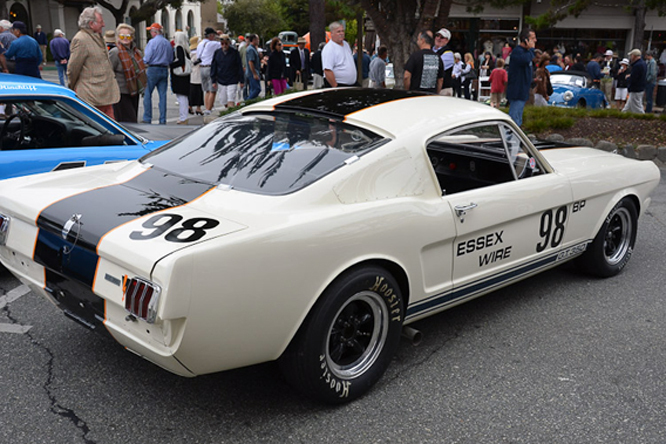 Ned raced this car, which featured an Essex Wire Black stripe with orange pin stripe in SCCA class B Production races from 1965 to 1967 with Ford drivers Skip Scott and Ken Miles also said to have had one off drives in the car. In 1967 #SFM5R098 was purchased by a Canadian who crashed it in 1969 after which it remained in an Ontario barn until it was bought unseen by Shelby aficionado Rick Kopec of Connecticut for $5,000. Rick had #SFM5R098 restored to the condition it was in when bought new by Ned Owen only changing the race number from Owen’s customary #92 to #98 in deference to the cars chassis number. My thanks to Geoffrey Horton for sharing today’s photographs. Thanks for joining me on this “Secretaries Turnkey Racer” edition of “Gettin’ a li’l psycho on tyres” I hope you will join me again tomorrow. Don’t forget to come back now ! 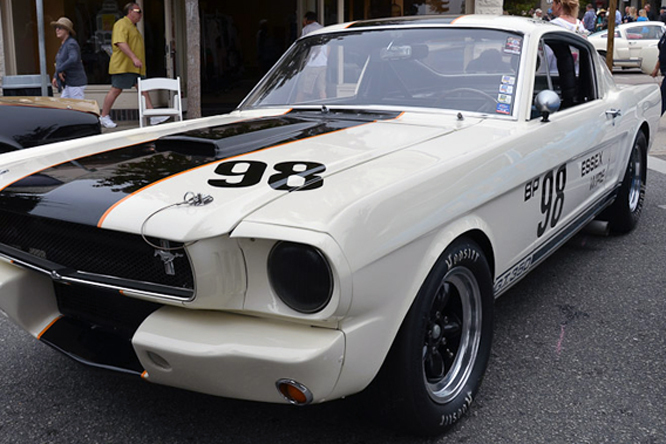 This entry was posted in Uncategorized and tagged Avenue, by, Carmel, Colmar, Concours, Ford, Geoffrey, GT350R, Horton, Kopec, Miles, Mustang, On, Owen, Psychoontyres, Ralph, Scott, sea, Shelby, The on May 28, 2015 by Ralph. Today’s Americana Thursday blog remembers Jerry Grant the first man to be credited with a 200 mph closed circuit lap in an open wheel car at Ontario in September 1972. Among the many cars Jerry drove was this 1965 Lola Ford T70 chassis #SL70/10 that was run by Dan Gurney’s All American Racers team in 1966. Jerry qualified on pole first time out at the USRRC Stardust Grand Prix held in Las Vegas as he did on at least two other occasions for USRRC events at Riverside and Watkins Glen. Known for always answering the phone “Merry Christmas this is Jerry Grant” what ever time of year, Jerry won the USRRC event at Bridgehampton with this car in May 1965. 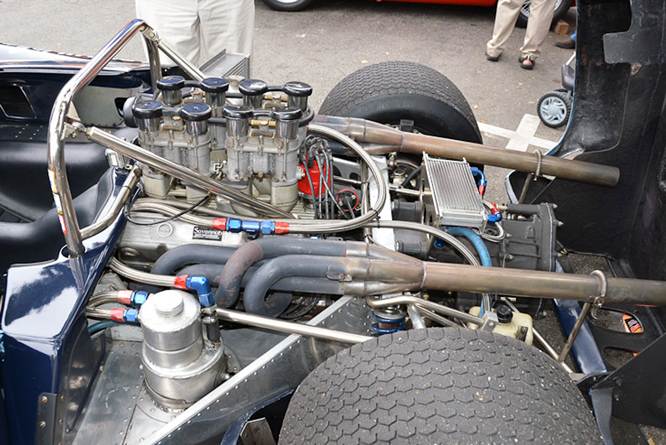 After an accident during practice for the Can Am race at Mosport in September 1966 the car was given a new lighter Mark 2 T70 chassis which it carries to this day. 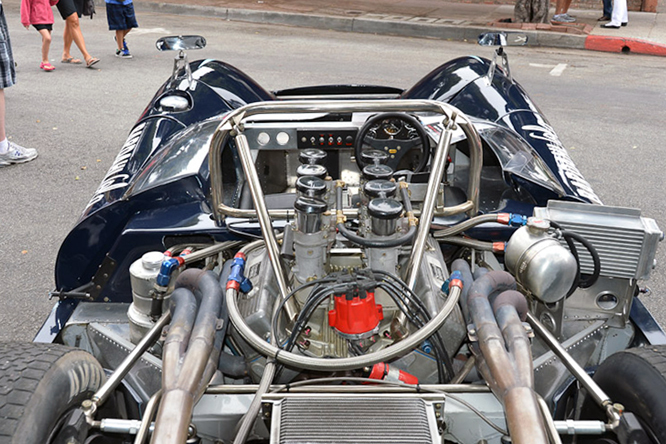 Although the Ford V8 could pull higher revs than the Chevrolet motor used by everyone else in the 1966 Can Am season it lacked the torque of the Chevy and team owner Dan Gurney is the only man to have won a Can Am race with Ford Power in a similar Lola T70. Allegedly on one occasion when his Ford failed Jerry pulled his car up to a stop along the pit wall jumped over the wall picked up a revolver and emptied it’s contents into the motor saying “Well you shoot injured horses, don’t you?”. Jerry conceded that leaving the AAR team at the end of the season was a mistake, AAR went on to become winners of the Indy 500 with Bobby Unser in 1968. Despite many wins driving sports cars, a close call with Victory Lane at Indy in 1972 when a puncture forced him to pit from a comfortable lead in 1972 and another in the 1966 Sebring 12 Hours when the GT 40 he was sharing with Dan Gurney was pushed over the line for the for the win and subsequently disqualified, Jerry’s most notable achievement was his 200 mph lap at Ontario in 1972 driving an Eagle for Dan Gurney again. Jerry passed away on August 12th, 2012 aged 77. 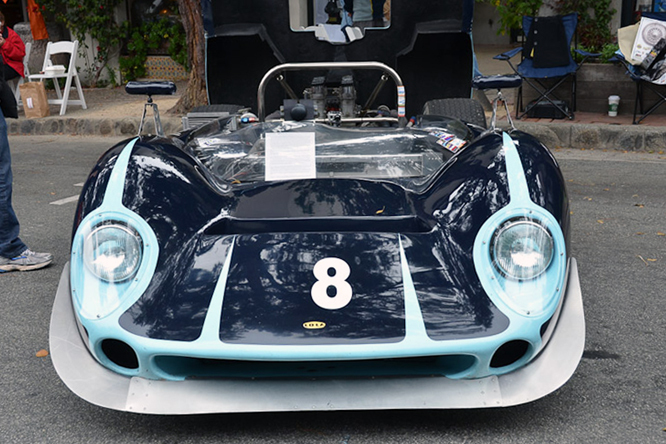 My thanks to Geoffrey Horton for today’s photographs taken at Carmel By The Sea Concours on the Avenue. Thanks for joining me on this “Merry Christmas” edition of “Gettin a li’l psycho on tyres”, I hope you will join me again tomorrow. Don’t forget to come back now ! This entry was posted in Uncategorized and tagged AAR, Avenue, by, Can Am, Carmel, Colmar, Concours, Ford, GALPOT, Grant, Horton, Lola, Mk 2, On, Ralph, sea, T70, The, USRRC on October 4, 2012 by Ralph. 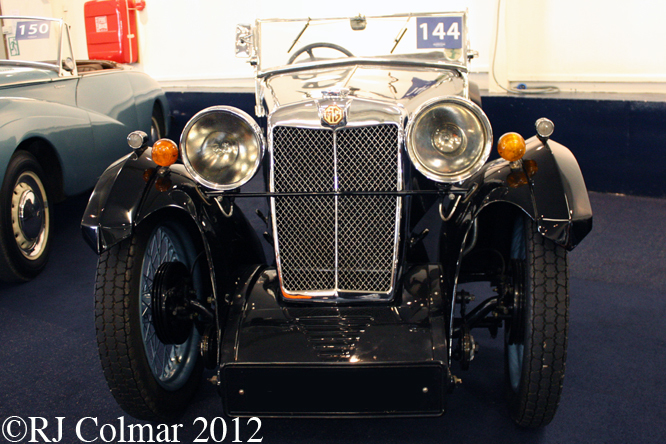 In 1931 MG introduced the the D-Type and F-Type the former with a four cylinder version of a motor which originated from the Wolseley Hornet. 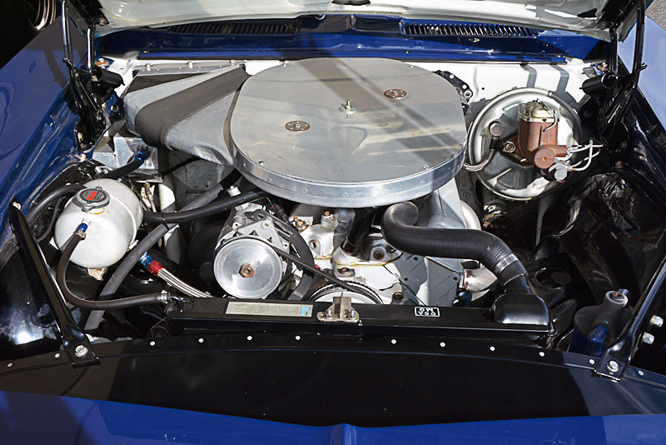 The F Type had a six cylinder engine that used the same four cylinder block with an extra two cylinders added. 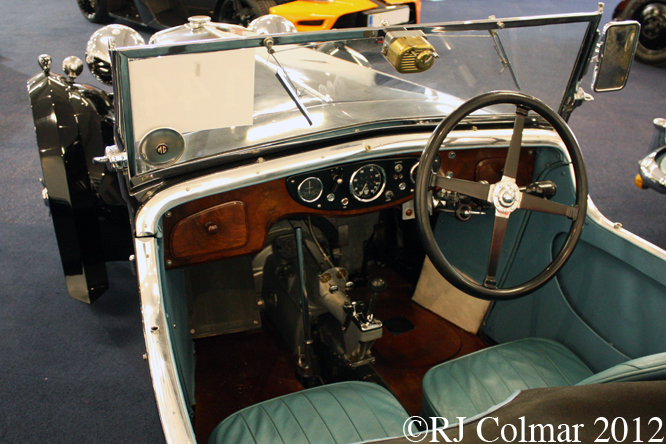 MG did it’s best to camouflage the Woleseley origins of the 37hp twin carburetor six cylinder motor with dummy side panels. Sitting in between the M-type Midget and the 18/80 Six models the 4 seat F-type was considered under powered and under braked when carrying three passengers along with the driver. 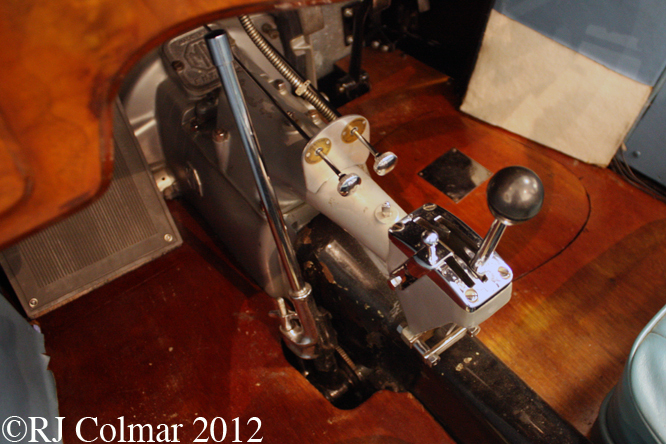 A two seater F2 version of the F-type was introduced in 1932 the body of which would be used on the aforementioned J2. The F-type’s non-synchromesh four speed gearbox was manufactured by ENV. 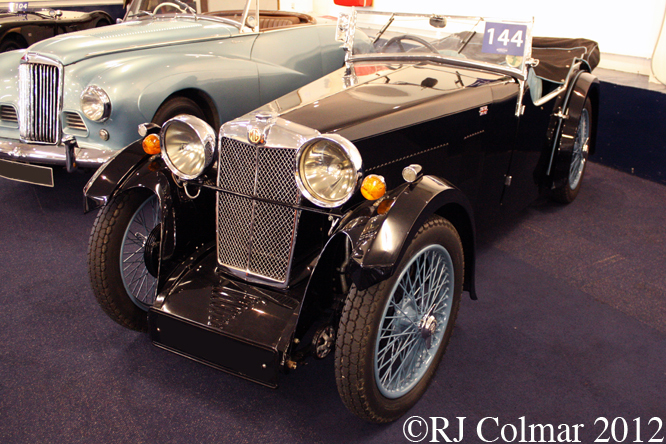 1250 F-types were built from 1931 until 1932 when the model was replaced by the L-type Magna. Thanks for joining me on this “Camouflaged Origins” edition of “Gettin’ a li’l psycho on tyres”, I hope you will join me again tomorrow. Don’t forget to come back now ! 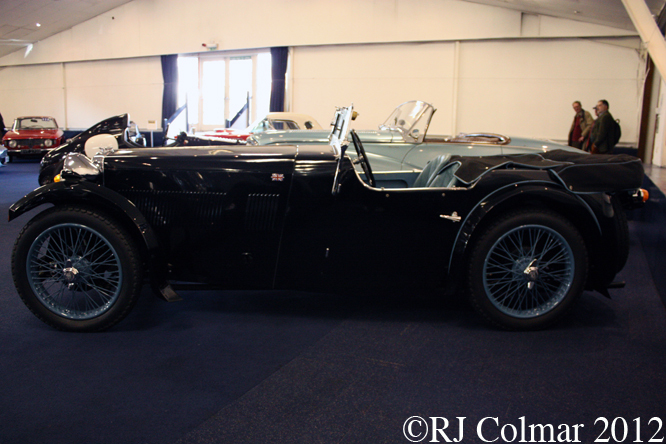 This entry was posted in Uncategorized and tagged Auctions, Colmar, D-type, Death, F-type, GALPOT, Magna, MG, Nile, On, Race, Ralph, Retro, Silverstone, The, Wolseley on August 7, 2012 by Ralph. 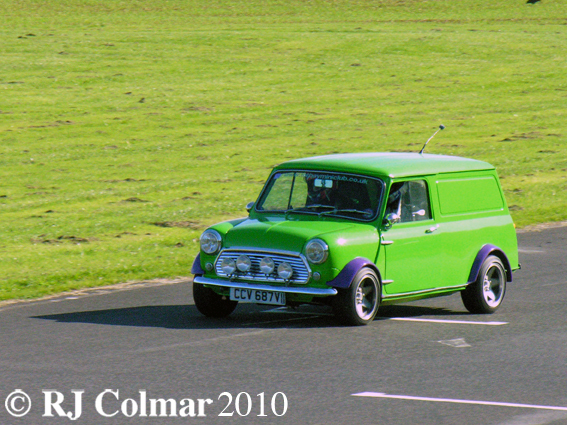 On Saturday I went to the ‘Mini Festival’ at Castle Combe Circuit 20 miles outside Bristol. Drivers of a variety of models were offering rides round the track to raise money for the Jay Ryles Fund, in aid of rehabilitating Jay Ryles 18 year old Jay Jyles who collapsed with Brain Damage after a school rugby match earlier this year. 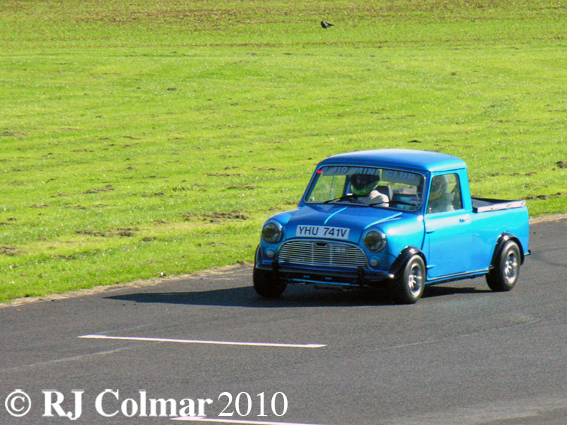 Amongst my favourites, all being driven with great gusto was this circa 1980 Mini Pick Up. Just 11′ long nose to tail and weighing in at just 1500 lbs (680 kg) with a full 6 imperial gallons of fuel ! Optional extras back in 1961 included, recirculatory heater, passenger side sun visor and seat belts. 58,179 of these are thought to have been built. Also being driven with great joie de vivre was this Mini Van coincidentally also a circa 1980 and like the pick up above fitted with a grill from the passenger car version. The van had a 1/4 ton capacity and was a popular alternative to the passenger car because as a commercial vehicle it carried no sales tax. 521,494 examples of this model are known to have been built. Jimmy Johnson took the win at Dover leading most laps blah ! blah ! blah ! back in contention in the drive for five blah ! ! Congratulations to the #48. If you want to know why I am indifferent to His Majesty Jimmy Johnson, NASCAR is built on drivers infinite patience with their fans except now one man seems to have run out of patience with a ‘return all fan mail unopened policy’. It was great to see AJ Almendinger leading the first half of the race, shame a flat tyre forced him to stop early. Racing on concrete is good at Dover because the cars are always loose on the edge of over steering into the wall calling on drivers to display immense car control skills, several drivers likened it to driving on ice towards the end of longer runs. It was a less than stellar day for my man Happy Harvick, I expected nothing more after the playground silliness displayed on Friday, to wit my man of the meeting award goes to Coach JD Gibbs who seems to have called his man ‘Denny four Cups Hamlin’ to order over the remarks he made that set Kevin off in the first place. Fernando Alonso took a well judged win in the Singapore GP last night, Sebastian Vettel had absolutely nothing for him, Mark Webber came in 3rd with a good recovery drive after an early pit stop. McLaren drivers Jenson Button and Lewis Hamilton appear to be slipping out of contention for the World Championship both now 20 points behind with 4 races to go. An hour into this race I found my self cutting the lawn despite the amazing night landscape in which the race was run. Hope you have enjoyed todays blog and that you’ll join me again tomorrow. 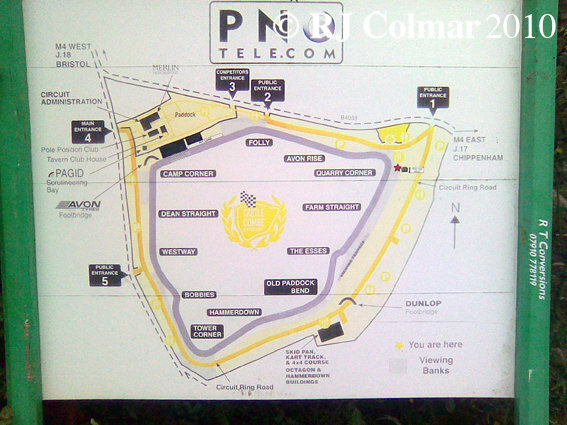 This entry was posted in Uncategorized and tagged Almendinger, Art, Castle, Circuit, Combe, Dover, Festival, Fund, Gibbs, Hamlin, Harvick, Jay, Johnson, Mini, On, Pycho, Ryles, Tidesco, Tyres on September 27, 2010 by psychoontyres. Yesterday, like to day, there was no racing going on locally, but it would have been criminal not to go out and enjoy the fresh autumn air and unbelievably bright sunshine that turns the world of photographers such as my self into a super illuminated paradise. 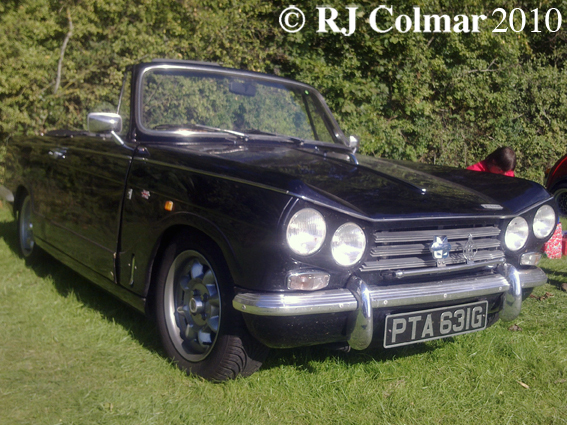 So I headed out to my local track Castle Combe where there was an event billed as a ‘Mini Festival’, there were hundreds of the cute critters in a variety of states of tune to be seen and I’ll post pictures of them in due course, because the vehicle that leapt out at me as the subject for today’s blog was this convertible Triumph Vitesse MKII. 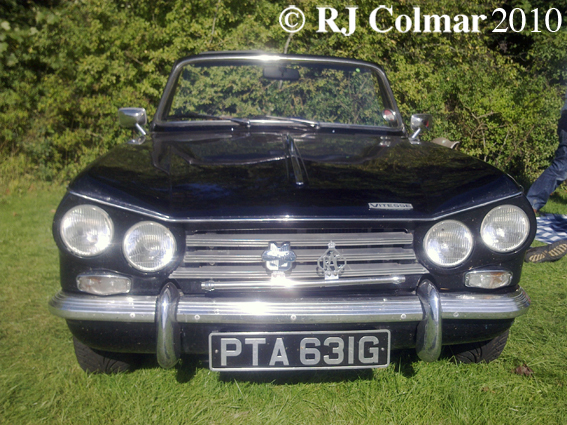 The 1968 – 71 Triumph Vitesse 2 originally featured a 104 hp 6 cylinder 2 litre / 122 CUI engine with two carburettors which gave it a 0 – 60 mph performance time of 11 seconds. 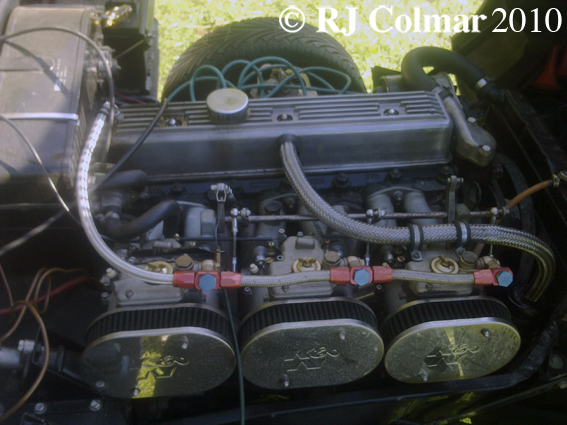 As can be seen above this 1968 model has been upgraded with triple carburettors. The Vitesse was outsold, in the UK, by its smaller 4 cylinder sibling the Herald, at a rate of 10 to 1, and was no match for the cheaper Ford Mustang in the US, however as is the way of these things the Vitesse has a strong following amongst aficionados of performance convertibles. Slightly off topic, I tuned into JTV to watch the Nationwide NASCAR race at Dover last night just in time to see Kyle Busch taking his victory bow in a cloud of smoke of his own making, congratulations to Kyle on winning his 11th Nationwide race of the season thereby beating the Sam Ard’s record of 10 wins which he set in 1983. Further off topic, I see Kevin Harvick took the NASCAR ‘have at ’em’ policy to heart during practice for the Dover Cup race ! Much as I’d like to see Kevin take the Cup home at Miami Homestead, these actions do not inspire me, sitting in the peanut gallery, with confidence about his chances. These play ground antics probably make great headlines and are sure to provoke a further on track response from “Dangerous ‘I am owed four cups’ Denny” Hamlin, I just hope they are not a distraction from the real job in hand for Kevin, which is to make sure he beats Jimmy Johnson in the infernal #48 to the big trophy at the end of the season. Looking forward to tonight’s race at Dover hope to catch some of you on Rowdy Chat. Look forward to to hearing from you all, ‘y’all come back now ! Hear ! This entry was posted in Uncategorized and tagged Ard, Art, Busch, Castle Combe, Dover, Ford, Hamlin, Harvick, Kyle, Mini Festival, Mustang, Nationwide, On, Psycho, Sam, Tidesco, Triumph, Tyres, Vitesse on September 26, 2010 by psychoontyres.